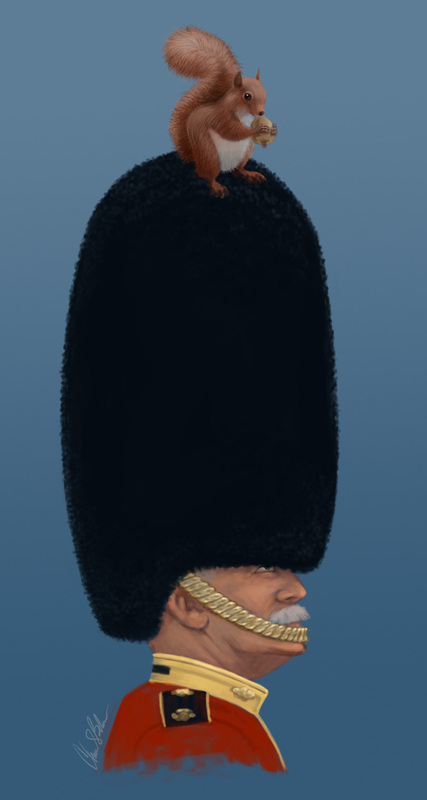 I’ve always had an interest in the kind of hats that the British soldiers wore. I thought it would be fun to have some fun with it – something perhaps a bit unexpected. I was also trying some new painting techniques in Photoshop.